Despite his financial success, Fields failed to impress Wall Street. 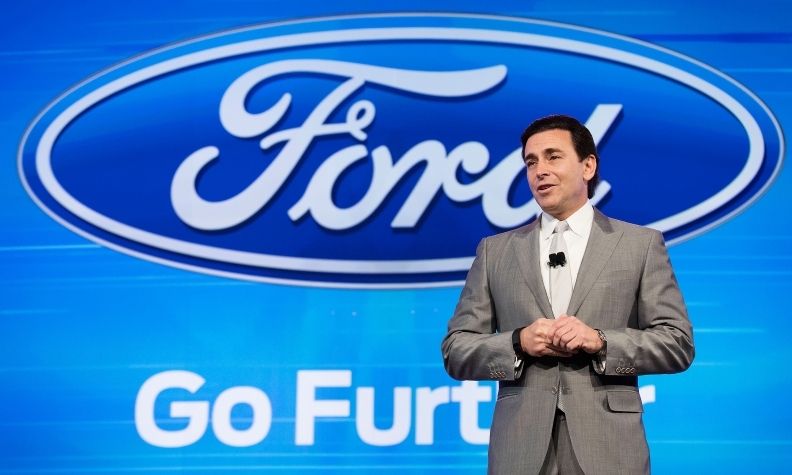 DETROIT -- During his relatively short time as Ford Motor Co.'s CEO, Mark Fields oversaw record profitability, successfully transformed the company's flagship pickup and helped set the table for Ford's future in autonomous and electric vehicles. But a lack of clarity about its evolving future, inability to inspire confidence in workers and indifference on Wall Street doomed the 56-year-old less than three years into his tenure. Ford top management spoke in glowing terms about Fields on Monday, but their assessment of where the company needs to improve was specific, implying where exactly Fields fell short. "Should we sharpen our message? Absolutely," Executive Chairman Bill Ford told Automotive News. "To be able to sharpen your message, you need to have clarity of strategy and a clear sense of alignment behind that message." Alan Mulally, CEO before Fields, came to Ford as an outsider who changed the company's toxic corporate culture. Ford called Jim Hackett a "cultural change agent" who can have a similar effect on the workforce and abolish a hierarchical mindset throughout the rank-and-file. "We want people to come to work thinking they can have a great day here," Hackett said. "There's pockets of this that exist, but we're going to make it more emphatic." Despite his financial success, Fields failed to impress Wall Street, as the company's stock price fell nearly 40 percent since he took over in July 2014. Analysts and investors grumbled recently about a lack of communication from the company. Under Fields, Ford created a subsidiary, Ford Smart Mobility, to focus on new mobility services, autonomous cars and electric vehicles. Fields was quick to say that Ford was becoming an "auto and a mobility company," and that the company was focusing on two distinct areas: its core business of selling cars and trucks, and new "emerging opportunities." But that message failed to resonate, and clashed with the company's already established "One Ford" mantra. Ford said the company would return to that unifying identity. "You won't hear us talking, at least a lot, about emerging vs. core," Ford said. "This is one Ford Motor Co. ... We don't want one group to feel like they're the cool group and the other group is the left-out group. "I think it's really important that we're seen by our employees and the public as 'This is the Blue Oval, this is how we're moving forward as a company,' and not as several companies."